I am abit late to report this promo but do not fret, there are still more to come! The cendul in the Klang Valley outlets & malls seem to be RM5.50 for a big bowl with lots of big red beans & generous serving of gula melaka. 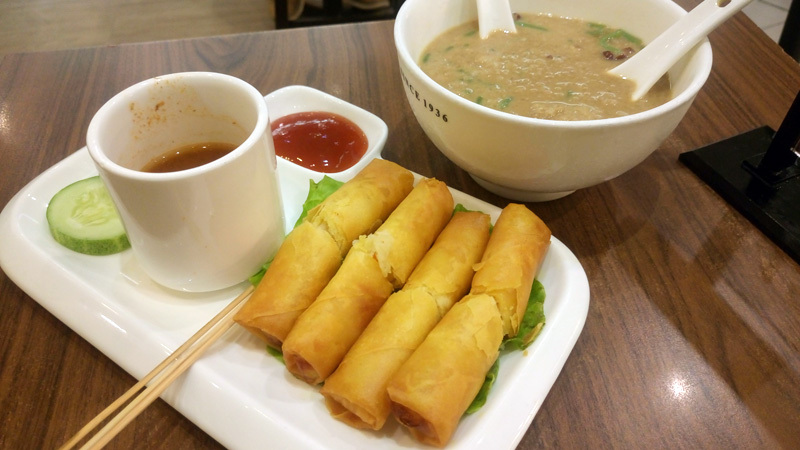 The popiah I tried in the picture was a nice tangy combination with the assam laksa gravy.I always loved the ice kacang at the original stall topped with the sarsi syrup but have yet to try it in KL though. 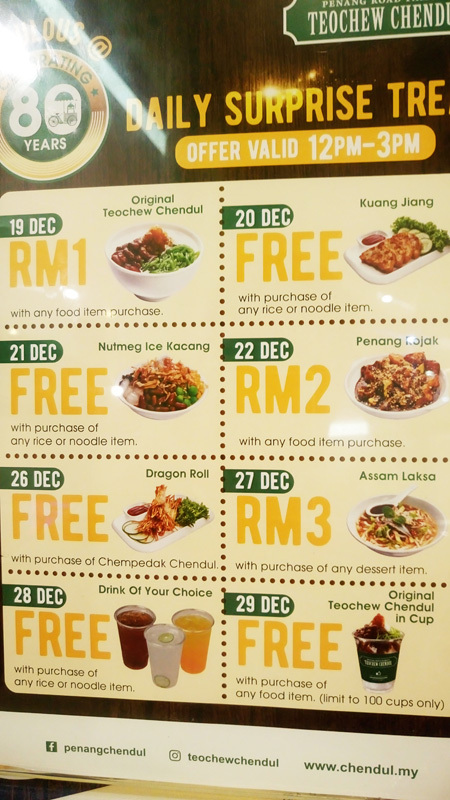 This entry was posted on Friday, December 23rd, 2016 at 5:11 pm	and is filed under Food Promo, Heavenly Klang Valley Food, Local Cafe, Mesmerizing Penang. You can follow any responses to this entry through the RSS 2.0 feed. You can leave a response, or trackback from your own site.